Holiday season is here, and what better way to get into the holiday spirit than make some festive tea blends? You may already know that green tea is the perfect drink to have during the winter. Not only does it boost your immune system, but green tea might help you fight the flu or the common cold while giving you a warm drink on a cold day. 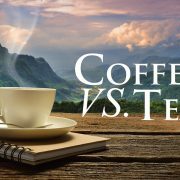 If you want to create a tasty treat to go with the changing weather, family gatherings and holidays, then try out some of these easy-to-do tea recipes. Not only will you be getting a drink that pairs with the season, but you’ll be getting the same great benefits from green tea that you enjoy! 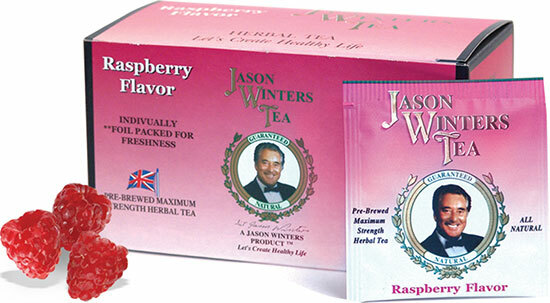 Raspberry tea is great year-round, and the sweet flavor and natural ingredients can cheer you up on a cloudy winter day. To shake things up, add some lemon and stevia to the tea after you prepare. This one is good hot or cold, and it should help keep you feeling stress-free during the busy holidays. Strong, ginger flavors have always been a perfect pairing with a cold, snowy day. Ginger tea is popular for the same reasons. Start off with some herbal green tea, and about 1 teaspoon of ground ginger for each cup of tea you make. If it’s a little spicy for your taste, add some stevia or honey to smooth it out. This is a wonderful hot drink to warm your body after a long day! As with raspberry tea, cinnamon tea is excellent on its own. You can either purchase naturally flavored cinnamon tea, or you can start from scratch with your favorite green tea blend. If you want more than just cinnamon in your tea, feel free to add some lemon and honey to the concoction. These add a ton of flavor and make the tea a must-have when you’re craving a hot drink. Mint reminds people of the candies that you get during the holidays, and it also happens to go really well with green tea – especially when served hot. When you’re preparing your green tea, add some mint sprigs to your cup. Let them seep for a few minutes and then take them out. You can go ahead and add some stevia as well to improve the flavor. This is a fun, easy recipe that works perfectly with the holidays. Start with green tea, add your desired amount of cinnamon and put a small wedge of a Granny Smith apple in the cup. This tea can come out tasting just like an apple pie! The best part is that you get to eat the delicious tea-and-cinnamon-soaked apple slice at the end. These are just a few of the many green tea drinks you can make for the holidays. There are plenty of other recipes out there for every palette, and you may be able to think of some yourself. Just start with your favorite green tea and use your imagination!